I’ve been keeping this under wraps for a couple weeks, but I can’t hold it in any longer. 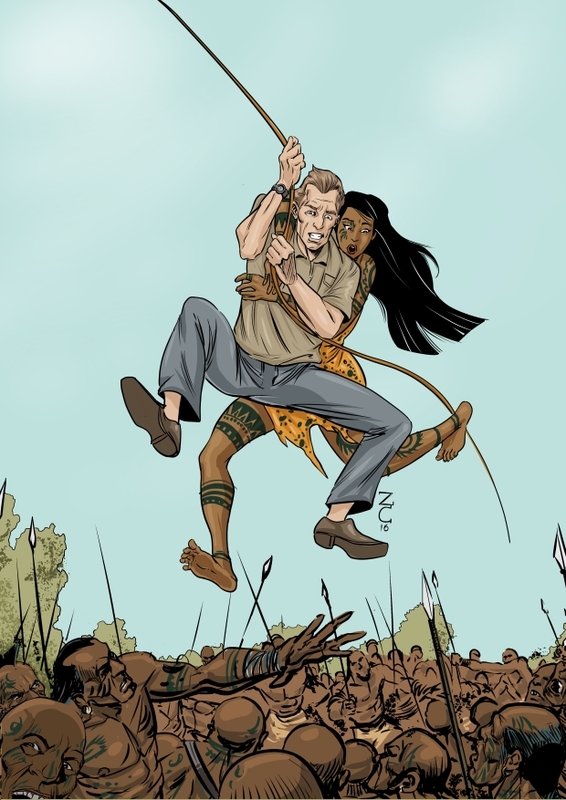 Behold, the cover art for “Missionary Max and the Jungle Princess” Brazilian comic book artist Zilson Costa has done a phenomenal job of capturing the exact look and feel of one of the climactic scenes of the story. Stay tuned here for more information as to the release date!